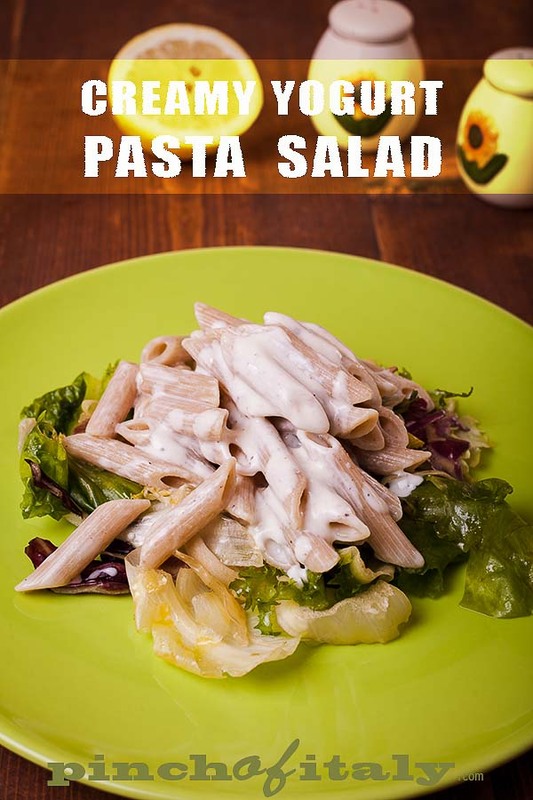 Creamy pasta salad with wholemeal fusilli, layered on a bed of fresh mixed lettuce. Just with the addition of plain low fat yogurt you have a light food served. To make a pleasant pasta salad when you grew up in a family that usually don't love them is a big deal. With truth the thing I like least in pasta salads is feeling the taste of washed, unseasoned pasta. It’s missing something. It took a bit of creativity, imagination and inspiration, but it finally arrived. Why not add an element of creaminess? 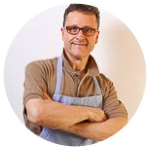 Here I am, with a summer dish that includes ingredients you can keep in the fridge for days. Prepare before, then add the pasta at the last moment, maybe just before going to the beach or out for a picnic. 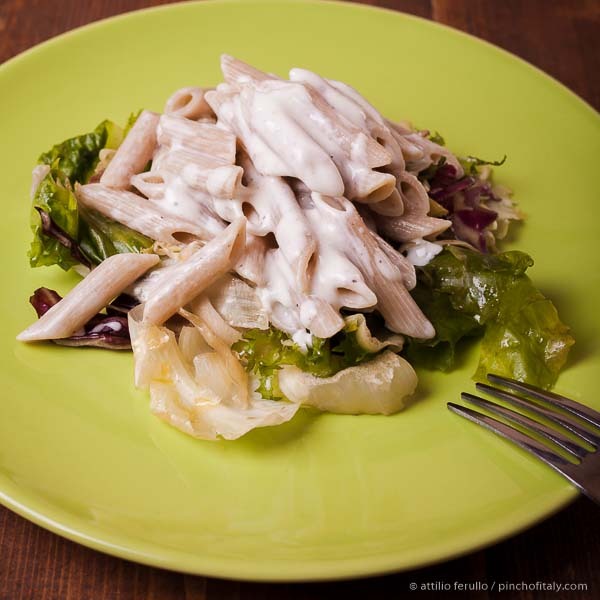 This creamy pasta salad is easy to make and you have a lot of freedom too. You can make it to your taste, tweak the ingredients as you like. Take your pick from different ready packed lettuce, and how much yogurt to add is up to you too. Here I just gave you my idea for a summer creamy pasta salad, but now make it as you like to meet your taste. Begin by cooking the pasta as usual meanwhile you work the other ingredients. Squeeze an whole lemon and keep the juice aside. 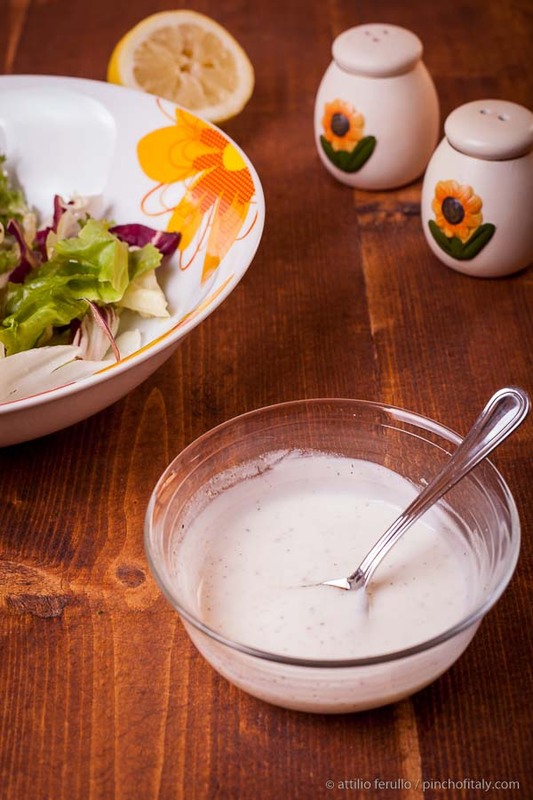 In a dish pour and season the yogurt with salt & pepper as you like. 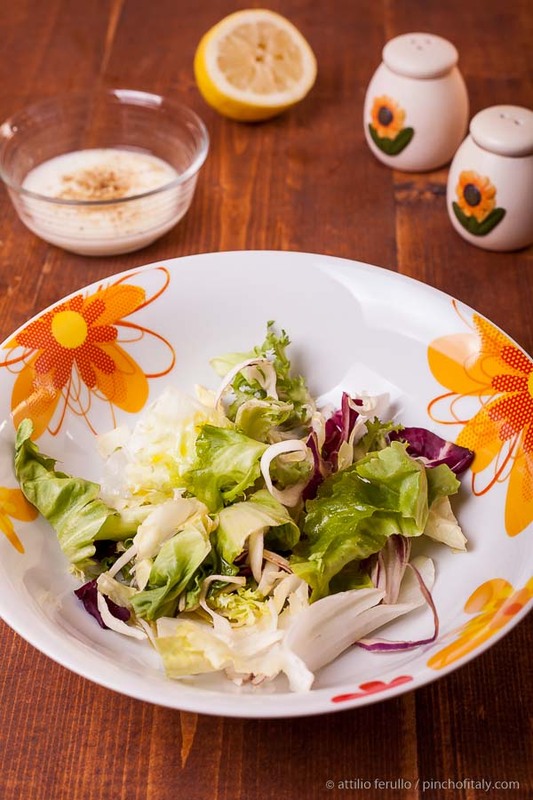 In a bowl place the salad and season with extra-virgin olive oil, lemon juice and salt a little. Once done take the salad and make a layer in the dishes. 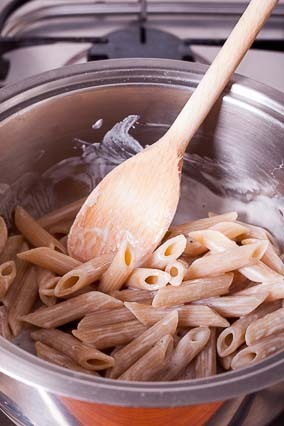 At this time fusilli are cooked, so drain and wash them to remove the starch and cool them too. 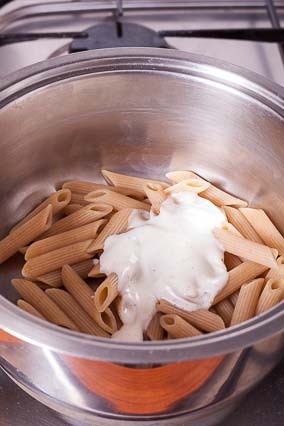 Take the yogurt and season the pasta within the pot. 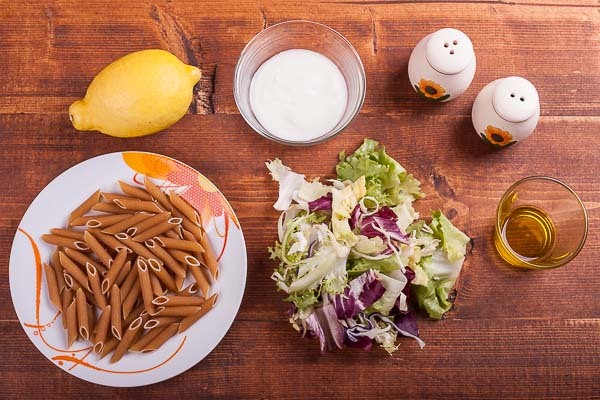 Pour the seasoned fusilli over the salad and keep for a while in the fridge if you like to serve cold.